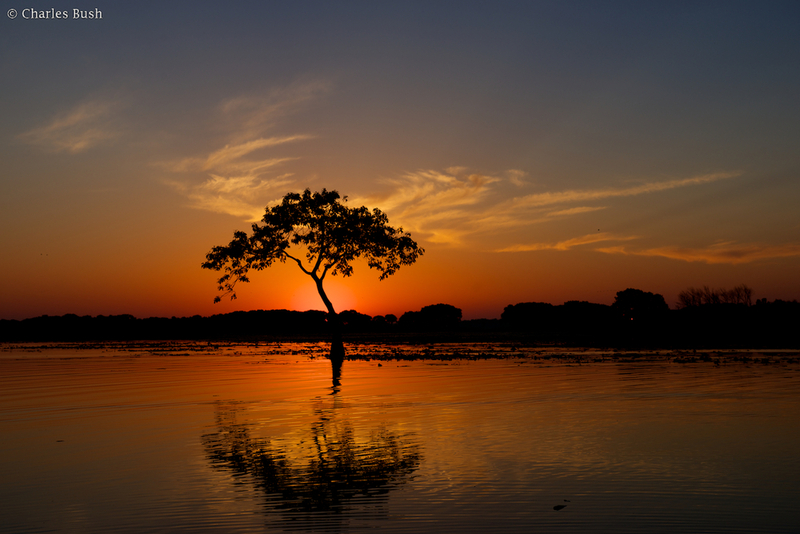 The second Spring Louisiana Photo Tour was conducted from the evening of May 12th through Sunset on My 16th. Here are the highlights of each of the locations visited. Water levels were such that we could visit Cow Island Lake. This was a real treat since the last time we were able to visit was April of 2011. While there weren't as many nests on the Lake as in past years, there were still at least 6 nests to photograph. As always the nests are lower than the other more frequented location in Henderson. The weather was excellent and the wind from the East, so we had the Osprey landing and taking off directly into the wind facing the sun, perfect. 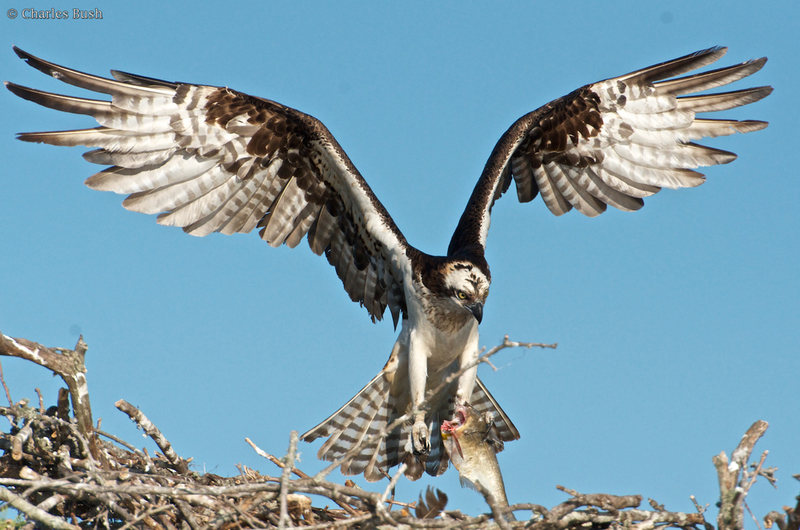 We had one nest with the male bringing a fish to the nest. 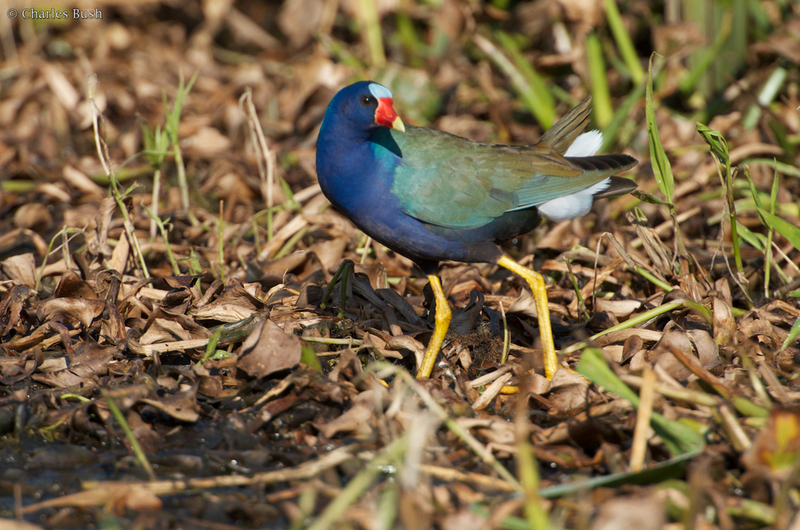 Monday Afternoon we went to Lacassine National Wildlife Refuge, the highlight of the afternoon were numerous opportunities to photograph Purple Gallinule. Tuesday morning we ventured to Miller's Lake. We were greeted with a wonderful sunrise and were able to make some nice images immediately upon entering the Lake. The lake has largely recovered from the Algae bloom we experienced in April. Large numbers of birds are nesting on the East side of the Lake (previously they were on the West side). In addition to the nesting birds we encountered several Purple Gallinule feeding on Lilly Pads as well as a Little Green Heron and a Lessor Bittern on Lilly Pads as well. Taking a trip to the Spillway we noticed a Snowy Egret Trapped under a ledge in the water. Kim was able to free the bird after by wading in and moving removing an obstruction from its leg. Went spent Tuesday afternoon at Jefferson Island. There are quite a few nests including several with Roseate Spoonbills. Nesting is much later than usual with very few nests with Chicks on them and many of the birds still actively courting. Wednesday morning we had yet another very nice sunrise. We captured the first glimpses leafing the landing and quickly got into position in the large Cypress Trees near the Landing. We had a long period of very nice sunrise photography. Later we were able to get some very cooperative Osprey and some very nice images, although this wasn't as good as Monday at Cow Island Lake. The final evening was spent at Lake Martin. 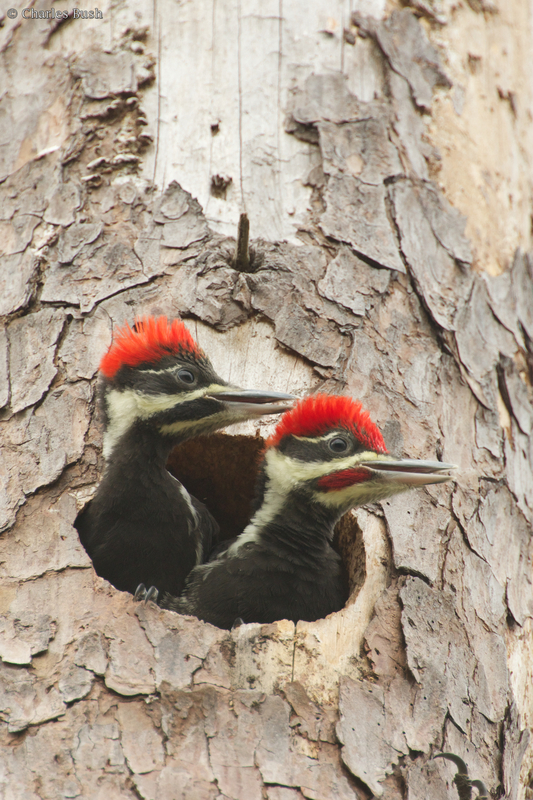 We spent some time at the visitors center and were directed to a Pileated Woodpecker nest there in the parking lot. We were able to get some very nice shots of the chicks as well as a series with one of the adult birds feeding them. In summary. We were blessed with three very nice days of shooting with each of the locations visited yielding nice images. The best shooting of the trip occurred at Cow Island Lake and Miller's Lake. Nesting at each of the locations is well behind a normal year with many of the birds still courting and very few with chicks on the nest. Space is still available for next week's tour. Nesting activity should still be in full swing and access to Miller's Lake and Cow Island Lake is virtually assured.